LEGOLAND Discovery Center at Assembly Row in Somerville is turning two this week and are celebrating with free cupcakes and more! From May 23 to May 27, 2016 from 2-6pm, there will be free mini cupcakes, LEGO party decorations and a chance to take pictures with costume characters! The birthday celebration is free with a paid admission, and you can find discount tickets to LEGOLAND starting at $15.95. Children under 3 are free. Keep in mind that adults are only admitted with children, but there is an adult night on May 25, 2016. 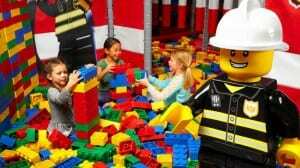 For more about this fun event at LEGOLAND Discovery Center Boston, please head here.